What is World Concern and the clean water project? The holidays are upon us. Thanksgiving was this past week, with Hannukah, Christmas and New Years (among other holidays) right around the corner. The end of the year is a good time to reflect on the things in your life that you are thankful for. This year, after learning more about World Concern and the clean water project, I am grateful that I have access to clean, drinkable water. At L-Tron’s customer appreciation event, L-Tron partnered with World Concern to give back to developing nations that do not have access to clean water. Over the course of the event, over $3,000 was raised. During the L-Tron “week of giving” consider sharing the gift of clean water, with someone who has never had access to it. World Concern is an organization that helps people and villages in remote, drought prone areas – providing clean water, sanitation and hygiene training. World Concern does not just stop after providing clean water or a well. They continue to educate on sanitation and hygiene practices. 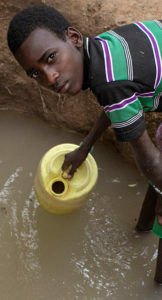 Currently, World Concern has clean water project efforts in Chad, Haiti, Kenya, Laos, Myanmar, Somalia and Sri Lanka. Many of the people they help live in the most remote & drought-affected areas. How will clean water make a difference in an individual’s life? According to “The Water Project” access to clean water alone can reduce dirty water-related deaths by 21%. 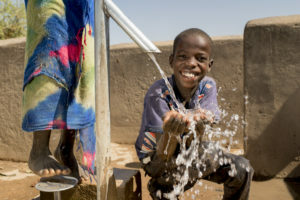 Water sanitation practices can reduce water-related deaths by 37% and hand-washing ALONE can reduce water-related deaths by 35% (thewaterproject.org). World Concern assists the most remote villages and communities with all three – through the drilling of wells and sanitation education, access to clean water and the reduction of illnesses and death are sustainable long-term. While having access to clean water can save the lives of many, clean water also allows individuals to focus on earning income and their education. Children are able to attend school, instead of walking over 6 miles a day to retrieve water. Water gives individuals in the most vulnerable communities hope for a better future. Questions? Interested in learning more about what is World Concern & how L-Tron wants to help?